I’m not sure if this is an obsession of the day or just an obsession I was obsessed with for a couple years, brought my family down with me, quickly forgot about it, and then randomly remembered today. Either way, you get a post on Pepsi Stuff. The 1996 and 1997 catalogs. 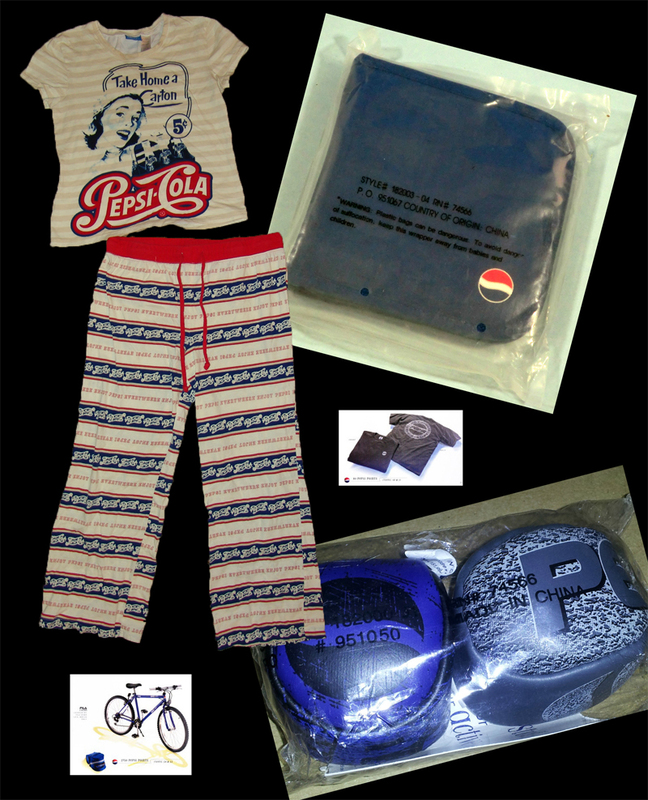 Pepsi Stuff was a loyalty program that Pepsi started in 1996. Customers collected Pepsi Points from different Pepsi products (I liked the 12- and 24-packs best and would immediately rip through the boxes to cut out the points as soon as the groceries were in the house), consulted a paper catalog (it was the 90s, remember? ), and sent away for Pepsi-themed merchandise. Like Kool-Aid points on a much larger scale. I feel it’s important to point out that this was back when Pepsi cans were white with the blue and red logo, none of this blue can stuff. The marketing was genius and Pepsi was soon using millions of people as walking advertisements for their brand. 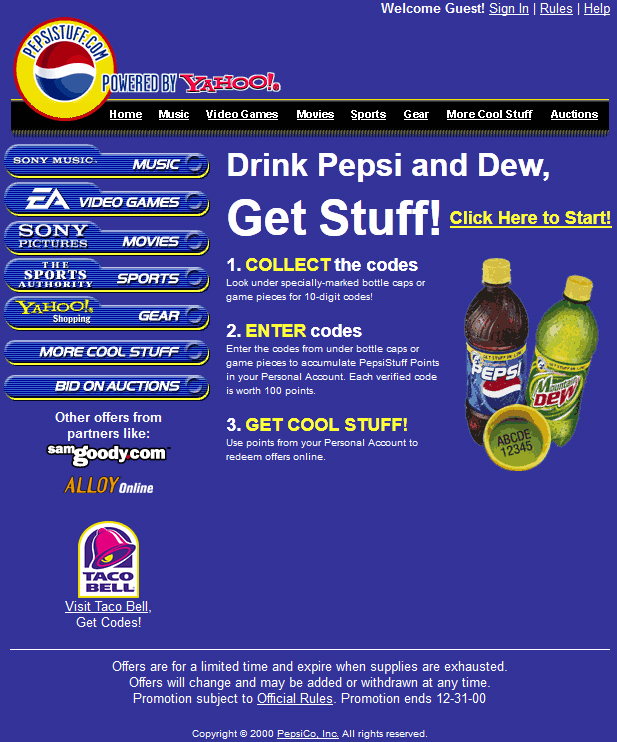 Pepsi did eventually partner with Yahoo in 2000 (which was the last time Yahoo was relevant) so people could order things online. Ah, early web design. Pepsi’s commercials for their Pepsi Stuff seemed to work really well considering the whole deal kicked Coca-Cola’s Atlanta Olympics Summer promotion. One additional interesting entry into pop culture history came from Pepsi Stuff—a lawsuit over a Harrier Jet. One John Leonard sued Pepsi when the company did not honor their offer of a Harrier Jet when he redeemed 7 million Pepsi Points. The lawsuit was dismissed, but it does prove you can attempt to sue for just about anything. I coveted my Pepsi Stuff catalog and would thumb through it constantly, daydreaming about the Pepsi branded crap that I didn’t need but would soon drink my 13-year-old self to diabetes in order to obtain anyway. I got my parents in on it and we sent away for the free items—I’d had my eye on Pepsi dog tags for months and my mom got a Pepsi baseball jersey. I’m sure my dad picked up a few things, too. 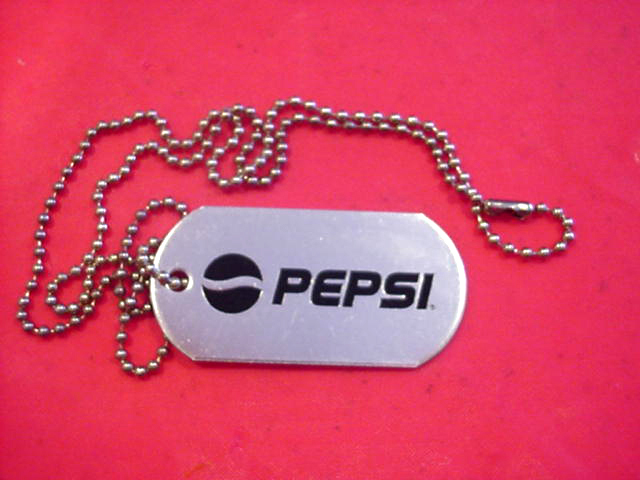 I’m not sure what happened to my Pepsi dog tags. They sort of looked like this, except mine had two on the chain, and this is some random one from 2001. I loved these things and wore them constantly because I didn’t know any better. 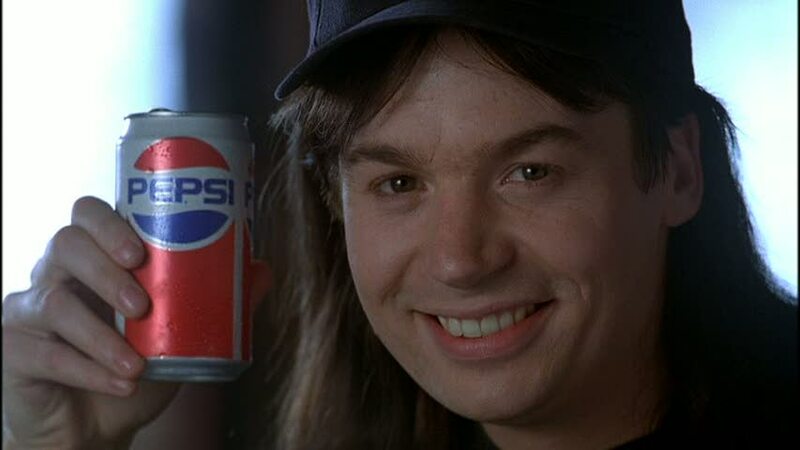 I assumed the Pepsi Stuff promotion ended in the 90s, because I seemed to stop being obsessed with it by the following year, but it was still around up until the very end of 2008. Did you have any Pepsi Stuff? What were you saving up for? Leave us a comment! I believe I was the lucky recipient of a hard earned Pepsi CD case. I collected those points like it was my job, excellent marketing on Pepsi’s part though. Oh and those shades, so incredibly 90’s. crookedninja The Pepsi Points system was so huge! I wonder if it could work today or if people would rather not wear so much soda-branded gear. I was searching for images of that well worn Pepsi catalog and a link brought me here. I was a points collecting fiend! I went thru the trash at work and bought Pepsi products religiously. I also had guys at work collecting them for me. 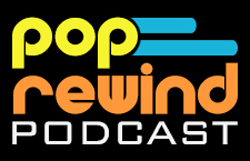 Ah, the 90’s…. Miss those years.. I searched google for this catalog after finding a unopened catalog in a old photo box. I remember getting the denim jacket lol…. ahh the 90s. I totally had the wallet that I used until about a few weeks ago when it was stolen. I still have one of the two bomber jackets i got. I worked at a grocery store and cut points off recycled 2 liter bottles I wish I had both of them still.